In this study, design and characterization of a wearable monopole antenna and metamaterial based electromagnetic band gap structure using conductive textile was reported. The pure copper polyester taffeta fabric was used as a conductive textile. The conductive textile based wearable antennas have attracted considerable attention for body centric technologies due to the ability of being integrated with clothes and easily worn. In this respect, the reflection coefficients, radiation pattern, and surface currents for proposed antenna were investigated and its performance was obtained. Then, we designed the electromagnetic band gap structure (3x3 unit cell) and integrated the wearable antenna with this structure. Finally, the specific absorption rate (SAR) values for wearable antenna and integrated structure were analyzed. The SAR values of wearable antenna and integrated structure were obtained as 17.4 W/kg and 0.329 W/kg, respectively. In addition, the electromagnetic band gap structure that has 4x3 unit cell was designed and again the wearable antenna was integrated with this 4x3 structure. Similarly, we obtained the SAR value of new integrated structure as 0.241 W/kg. It was demonstrated that the integrated structures have considerably favorable SAR value for human body. It can be used in many wearable antenna applications with this low SAR value. 1. Rais, N.H.M, Soh, P.J, Malek, F, Ahmad, S, Hashim, N.B.M, Hall, P.S.A, Review of Wearable Antenna, Loughborough Antennas & Propagation Conference, Loughborough, UK, 2009, pp 225-228. 2. Hall, P.S, Hao, Y, Antennas and propagation for body centric communications, First European Conference on Antennas and Propagation, Nice, France, 2006. 3. Linz, T, Simon, E.P, Walter, H, Modeling embroidered contacts for electronics in textiles, The Journal of the Textile Institute, Taylor & Francis, 2011, 1-10. 4. Soh, P.J, Vandenbosch, G.A.E, Ooi, S.L, Husna, M.R.N, Wearable dual-band Sierpinski fractal PIFA using conductive fabric, Electronics Letters, 2011, 47(6), 365-367. 5. Zhu, S, Langley, R, Dualband wearable textile antenna on an EBG substrate, IEEE Transactions on Antenna and Propagation, 2009, 57(4), 926-935. 6. Bai, Q, Langley, R, Wearable EBG antenna bending, Antennas and Propagation, EuCAP-2009, 3rd European Conference, Berlin, Germany, 2009, pp 182-185. 7. Sankaralingam, S, Gupta, B, Use of electro-textiles for development of wibro antennas, Progress in Electromagnetics Research C, 2010, 16, 183-193. 8. Osman, M.A.R, Rahim, M.K.A, Samsuri, NçA, Salim H.A.M, Ali, M.F, Embroidered fully textile wearable antenna for medical monitoring applications, Progress in Electromagnetics Research, 2011, 117, 321-337. 9. Mantash, M, Tarot, A.C, Collardey, S, Mahdjoubi, K, Investigation of flexible textile antennas and AMC reflectors, International Journal of Antennas and Propagation, 2012, 2012, 1-10. 10. Klemm, M, Troester, G, Textile UWB antennas for wireless body area networks, IEEE Transactions on Antennas and Propagation, 2006, 54(11), 3192-3197. 11. Salonen, P, Keskialammi, M, Sydanheimo, L, A low cost 2.45 GHz photonic band gap patch antenna for wearable system, IEE 11th Intnl. Conf. On Antennas & Propagation (ICAP2001), Manchester, UK, 2001, pp 719- 723. 12. Salonen, P.O, Yang, F, Rahmat-Samii and Kivikoski, M, WEBGA-Wearable Electromagnetic Band-Gap Antenna, IEEE Antennas & Propagat. Int. Symposium, Sendai, Japan, 2004, pp 451-454. 13. Veselago, V.G, The electrodynamics of substances with simultaneously negative values of  and µ, Soviet Physics USPEKHI, 1968, 10(4), 509–514. 14. 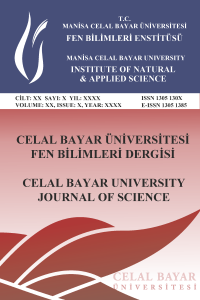 Dincer, F, Karaaslan, M, Colak, S, Tetik, E, Akgol, O, Altıntas, O, Sabah, C, Multi-band polarization independent cylindrical metamaterial absorber and sensor application, Modern Physics Letters B, 2016, 30(08), 1650095. 15. Zhang, Y, Fiddy, M.A, Covered image of superlens, Progress in Electromagnetics Research, 2013, 136, 225-238. 16. Chen, X, Implicit boundary conditions in transformation-optics cloaking for electromagnetic waves, Progress in Electromagnetics Research, 2011, 121, 521-534. 17. Unal, E, Dincer, F, Tetik, E, Karaaslan, M, Bakir, M, Sabah, C, Tunable perfect metamaterial absorber design using the golden ratio and energy harvesting and sensor applications”, Journal of Materials Science: Materials in Electronics, 2015, 26(12), 9735-9740. 18. Salonen, P, Rahmat-Samii, Y, Schaffrath, M, Kivikoski, M, Effect of Textile Materials on Wearable Antenna Performance: A Case Study of GPS Antennas, IEEE Antennas & Propagat. Int. Symposium, Sendai, Japan, 2004, pp 459-462. 19. Tetik, E, D. Tetik, G., The Effect of a Metamaterial Based Wearable Microstrip Patch Antenna on Human Body, Canadian Journal of Physics, 2017, 95(13), pp 1292-1298. 20. Tronquo, A, Rogier, H, Hertleer, C, Langenhove, L.V, Applying textile materials for the design of antennas for wireless body area networks, Proceedings of the European Conference on Antennas and Propagation, Nice, France, 2006.